Make your own puppets and masks from recycled materials. 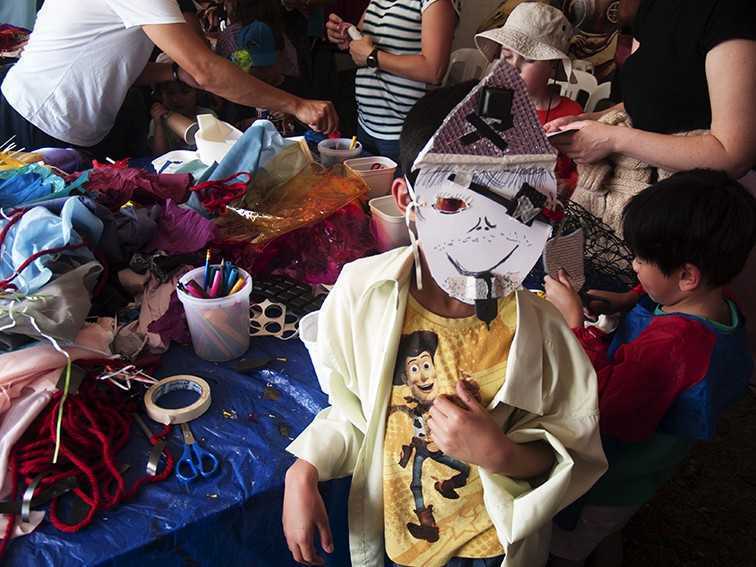 Sanctum Theatre’s Puppet & Mask Making Classes are colourful, messy and fun-filled! Unleash your creativity, get their hands dirty and break a few rules at the same time! Sanctum Theatre’s Puppet & Mask Making Classes can be booked in conjunction with the Magic Lantern Traveling Puppet Theatre shows, Otto Learns to Fly or Life is a Carousel. To book Sanctum Theatre’s Puppet & Mask Making Classes for your festival or at your school please contact Lachlan Plain on (+61) 432 103 538 or lachlan@sanctumtheatre.org. Photo taken at Moomba 2015.